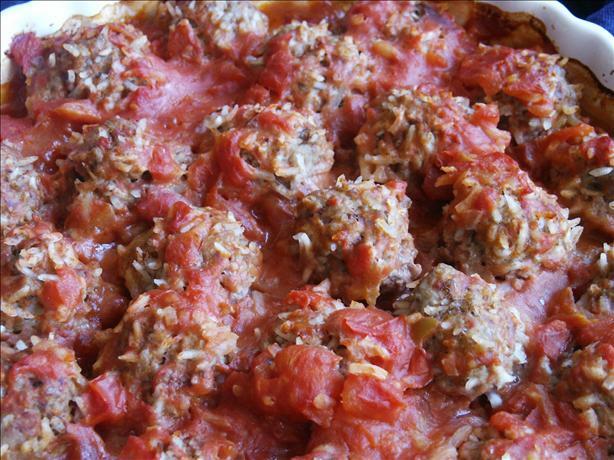 EdibleCreativity: porcupine meatballs... where's the beef FROM? When did buying meat become so scary? When reading books or articles by John Robbins or Michael Pollan, being a vegetarian looks better and better. What's an omnivore to do? When I was growing up, hamburger meat was a staple in our house. My mom's go-to recipe book was 21 New Ways to Serve Hamburger, printed by Hunt's Tomato Sauce. She made nearly everything out of a pound of ground beef, an eight ounce can of tomato sauce... and an onion. These days, when I go to the food store to buy meat for The Fam, I am on the lookout for affordable, grass-fed or organic beef. Yes, I know... saying organic with affordable is an oxymoron. Last time I was in Publix, I bought a pound of grass-fed beef from nearby White Oak Pastures and it cost me around six dollars and change. At our local Farmers' Market, the price per pound is a bit cheaper if you buy more than one. I've added a bit of fresh spinach to sneak in an extra serving of veggies. You could also substitute 1 cup grated zucchini. In a small, non-stick skillet, saute onion and garlic in a teaspoon of olive oil for a couple of minutes to soften. Add spinach and saute until wilted. In a large bowl, blend meat, rice, cooked veggies and remaining ingredients. Form into balls. Bake in oven for 10 minutes at 350 degrees. Place in skillet and add tomato sauce, stock and Worcestershire sauce. Season with more pepper if desired. Simmer for 45 minutes in a covered pan. Check for seasonings and texture of rice. Simmer a few minutes longer, if rice isn't tender . Serve with a salad or steamed veggies.